What have you always struggled to learn? Whether you’re a poor writer or can’t handle numbers, you’re no different to everyone else. We’ve all experienced frustrations with learning. If only more people knew that the first and most important step to solving these problems is surprisingly simple. When we struggle to learn, we often put it down to a lack of innate ability. This perspective frames our capacity to learn as something outside of our control, when in reality it’s influenced heavily by our own beliefs. If learning is a journey from a place of knowing less to one of knowing more, then trying to learn something when we don’t believe we can do it is like trying to drive with the handbrake on. Unsurprisingly, the idea that we need believe we’re capable to succeed isn’t new and often appears in children’s stories and motivational quotes. But there’s more to these statements than great word-smithery. In fact, the work of Stanford psychologist Carol Dweck suggests that there is scientific substance to the idea that mindset matters - our belief systems directly affect our behaviour, which in turn affects our success in learning. Those with a fixed mindset, who believe their abilities are set in stone. Those with a growth mindset, who believe their abilities can be developed. Having a growth mindset doesn’t mean we have to believe that anyone can become the next Einstein, Mozart or Da Vinci. We only have to acknowledge that our potential to learn is unbounded and that the power to increase our own abilities is within our control. Approaching things from this perspective creates a real passion for learning, and makes us more likely to apply the grit we need to succeed. We become less discouraged by failure and more attentive when we’re struggling. We start to see difficulty as an opportunity to stretch ourselves rather than trying to avoid it. All these characteristics not only make us more likely to learn new things but they raise our chances of reaching our goals in our careers and personal lives. Dweck and her colleagues have consistently produced results that prove the positive impact of a growth mindset on learning performance. In one of her early experiments, outlined in her book, she ran a workshop for a 7th grade class at a New York City junior high school. Half the students were given a presentation on memory and effective studying, while the other half were introduced to Dweck’s ideas and were told their intelligence largely depended on their own effort. After the workshop both groups went back to their classrooms, with their teachers unaware of the difference between what they had been taught. 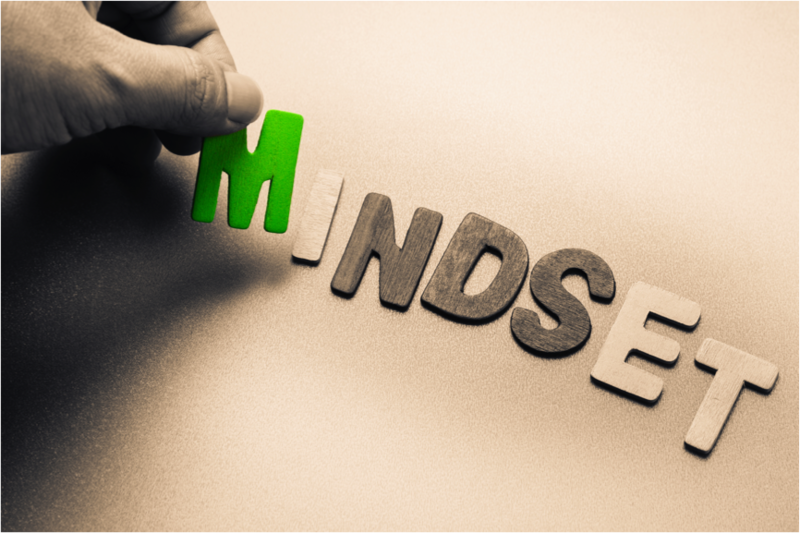 Remarkably, as the school year unfolded, the students from the second group developed a growth mindset and became higher achievers than the students from the first group, who retained a conventional fixed mindset. Dweck’s team has replicated these results across different locations, age groups and subjects with notable degrees of success. Our mindset is fundamental. It’s more important than inherent ability in learning performance and has a huge impact on the other areas of our life such as our career and relationships. All learning strategies, tools and techniques are almost useless if we don’t combine them with a strong, growth based learning mindset - the simple belief that the power to improve our learning abilities lies in our own hands. What are your most limiting views about your learning abilities? Write them down in detail and give examples from the past which justify these beliefs. Be honest with yourself and try to think of all the times in the past when your own beliefs were the major barrier to your learning. Now cross-examine these limiting beliefs through the lens of a growth mindset, just as a prosecution lawyer would analyse a defence testimony. Think of examples in the past where your effort led to progress and ask if those limiting beliefs stand up to the test now. I’ll be surprised if any do, because the growth mindset encourages you to take responsibility for the results you get, rather than blaming external factors. A growth mindset is something you need to practice consistently over time, like anything else. If your limiting beliefs pop up again in your mind, remind yourself that your ability is under your control. This exercise is recommended by Dweck herself and reviewing these ideas has been hugely useful in my own learning projects. The truth is that you’ve already done some of the work by reading this post. Apparently, the simple act of reading about the research can have a significant and measurable impact on your attitude and learning performance. So if you’ve reached this far, you can thank me in the comments!